Home / JOB VACANCY / EMPLOYMENT OPPORTUNITIES ANNOUNCED AT IFAKARA HEALTH INSTITUTE, (IHI) APPLY BY 21 DECEMBER 2018. 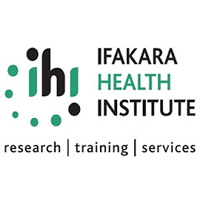 EMPLOYMENT OPPORTUNITIES ANNOUNCED AT IFAKARA HEALTH INSTITUTE, (IHI) APPLY BY 21 DECEMBER 2018. Form IV/VI or preferred with Diploma in Social Science or any related field. IHI is looking for Field Interviewers to fill vacant positions in a new project on “Calcium supplementation in pregnant women” The Field Interviewers will perform all field activities at the study areas.  Form IV/VI preferred with certificate in social science or any related field. IHI is looking for Field Interviewers- Call center to fill a vacant positions in a new project on “Calcium supplementation in pregnant women” The Field Interviewers of call center will work at call center and birth hotline. All applications must be received by Thursday December 21, 2018. Applications received after the closing date won’t be considered.